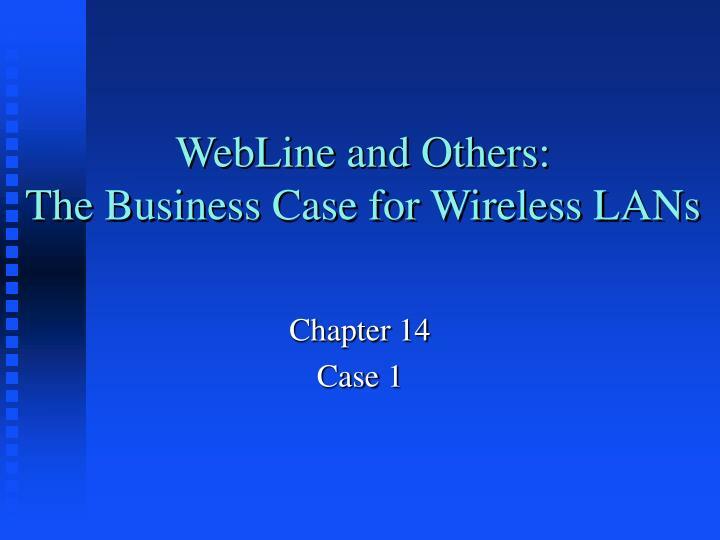 WebLine and Others: The Business Case for Wireless LANs Chapter 14 Case 1 Wireless LANs Convenience and ability to remain connected to the company through radio waves rather than wires. Mobility to work from different locations than just their workstation. 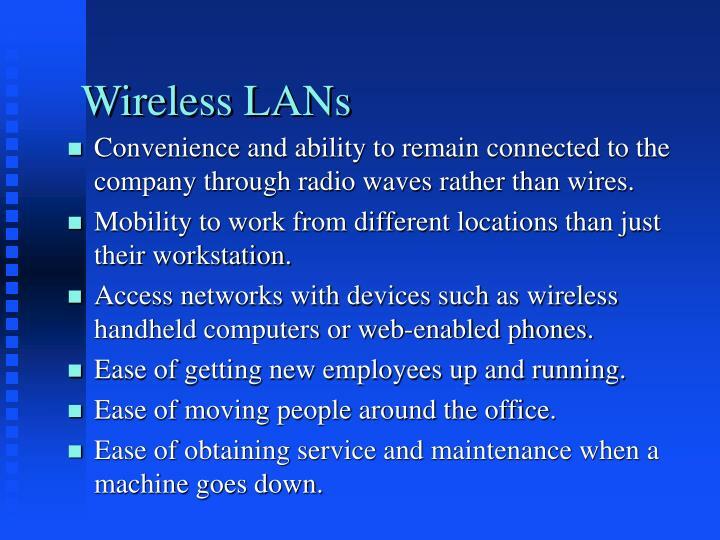 Convenience and ability to remain connected to the company through radio waves rather than wires. Mobility to work from different locations than just their workstation. Access networks with devices such as wireless handheld computers or web-enabled phones. Ease of getting new employees up and running. Ease of moving people around the office. Ease of obtaining service and maintenance when a machine goes down. 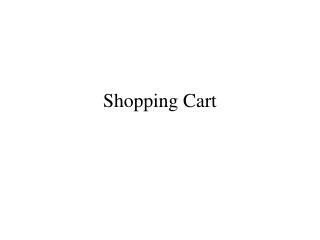 Productivity improvements due to the freedom of mobility. 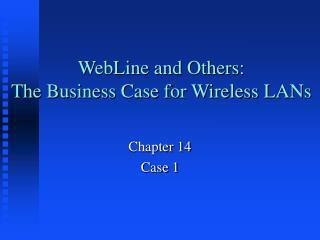 Increased speed of wireless networking technology (Wi-Fi). 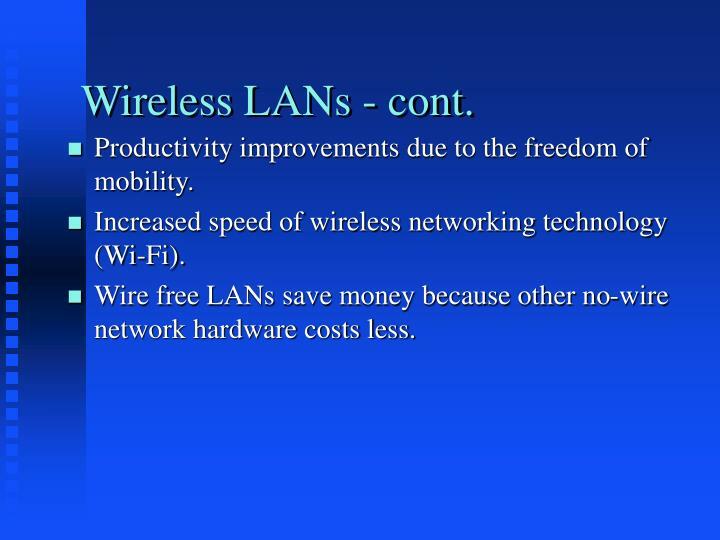 Wire free LANs save money because other no-wire network hardware costs less.